Writing on Wednesday: Katrina Mississippi—Book Launch in Gulfport July 24! I’m excited about the launch of Katrina Mississippi: Voices From Ground Zero, (Triton/Nautilus Press, 2015) by my friend NancyKay Wessman. Can you believe it’s been almost 10 years since Hurricane Katrina tore through the Gulf coast in August of 2005? 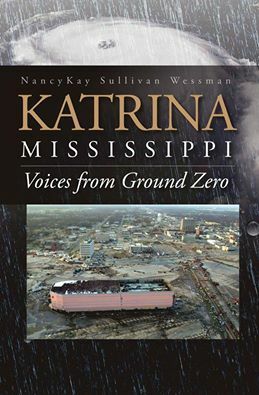 And while others (including Mississippi’s governor, Haley Barbour, with whom Wessman will be speaking at Milsaps College’s lecture series on September 15, “Katrina 10 Years Later”) have books out about Katrina, Wessman’s brings a new perspective to the event. The book includes individual stories from first responders and critically important volunteers in Mississippi as well as the accounts of state and federal governments. 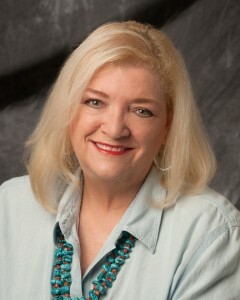 NancyKay Wessman is a public health communications and public relations expert who writes, edits, reads and tells stories. As a nationally known and respected PR director, she helped create and lead organizations that attracted other public health communicators. Check out the schedule for events on Wessman’s website, here. And if you’re near the Gulf Coast this Friday night, come to the Gulfport Galleria of Fine Art at 1300 24th Avenue from 5-7:30 p.m. to meet the author, get a signed copy of the book, and enjoy some informed conversations and free wine. Oh, and I’ll be there, along with Neil White, author of In the Sanctuary of Outcasts and Director of Triton/Nautilus Press, and other friends from Arkansas, Mississippi and Alabama, all eager to raise our glasses to NancyKay and get our hands on a signed copy of the book! Thank you. So glad you’ll be there to help celebrate!